Andrew Lilico, over at Centre Right argues that, if a Conservative government is elected, Cameron and Hague should not go for a post-Lisbon ratification referendum. Instead, they should proceed directly to renegotiate our relationship with the European Union – presumably based on a manifesto mandate. In passing, we must thank The Huntsman for pointing this piece out. And, as an aside, we must observe that giving Lilico a platofrm is a good example of the utility of the political blog – addressing issues that the MSM, in its "entertainment industry" mode does not care to deal with. Anyhow, back to Lilico, who hopes that such a renegotiation will be fruitful, stating that, "we should be planning exactly how to do it, but we should be under no illusions as to the difficulty of the task." He is right on both counts, and his broader premise is one with which we would agree. A post-ratification referendum would simply be a precursor to a renegotiation, so we might as well cut to the chase, and go straight for the jugular. The time for a referendum would be, in his scenario, to agree the terms of the renegotiation - pace the 1975 Wilson referendum. Alas! it seems to me now that without both serious planning of exactly what we are after and a high level of good will and willingness to self-sacrifice from our European partners (implying consistently secure domestic political positions for at least the major Member States), this renegotiation has perhaps little more than 50 percent chance of success, and we may be forced to withdraw from the EU altogether. If so, that will prove a damning indictment of this Labour government's mishandling of the issues for more than a decade. In this, he is perhaps closer to the truth than he thinks (or is prepared to admit), because, if the renegotiation is to be meaningful, as opposed to the sham perpetrated on us by Wilson, the chance of success would be nil. The reason for that is, quite simply, the "colleagues" would refuse to negotiate, instead invoking Article 50 (previously 49A) of the constitutional Lisbon treaty, inviting the UK to withdraw from the Union. As to why they would not permit a renegotiation, the problem for the “colleagues” is that the outcome would require giving substantial concessions to the UK, while allowing it to remain a full member of the European Union. That, presumably, would include the UK continuing to send members to all the institutions, including the European Council, the Council of the European Union (Council of Ministers) and the European Parliament. Any such concessions, though, would require major changes to the existing treaties which would in turn require the establishment of an intergovernmental conference (IGC). This is the only body authorised to negotiate treaty changes on the scale envisaged. Therein lies the danger for the "colleagues". Once an IGC was convened, it would not be possible to prevent other member states – either singly on their own behalf or collectively – tabling their own proposals to be considered at any such IGC. With the UK seeking concessions favourable to itself, there would be a very strong possibility (verging on certainty) that other member states would seek similar concessions. Since the voting dynamics of the IGC are such that unanimity is required, any one member state could block an agreement favourable to the UK, or make the agreement conditional on approval of their own requirements. Should the IGC grant concessions to the UK, it would be very difficult for it to refuse similar (or even different) concessions to other member states. Any such move would represent – at the very least - a major reversal of the process of integration. More likely, it would risk the fragmentation of the Union, destroying the coherence of its structures and ending forever its ambitions for further integration. On that basis, the Union would most likely do everything in its power to resist convening an IGC. Nevertheless, especially if Cameron chose to exercise the "nuclear option" of threatening to withhold the UK's financial contributions (the only certain way of bringing the "colleagues" to the table) the Union would have to respond to UK demands for negotiations. Based on earlier experience of how they responded to the Conservative request to withdraw from the EPP, however, the initial response would, most probably, be polite delaying tactics. Only when forced would the Union then offer a counter-proposal. On the basis that it would wish to avoid an IGC – its most plausible counter would be to invite the UK to leave the European Union using the Article 50 procedure, as part of which process it would agree to bipartisan negotiations to carve out a "special status" for the UK. Since that would afford the opportunity for the UK to negotiate a new relationship with the Union, it is hard to see how it could refuse such an option if offered – without seeming totally unreasonable. 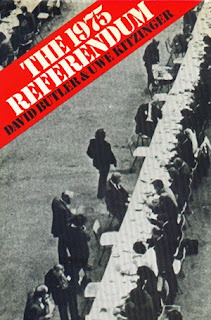 Bizarrely, therefore – and most probably with deliberate intent – the inclusion of a "withdrawal" clause in the constitutional Lisbon treaty, which has been hailed by the "colleagues" as a concession to the eurosceptics, is something other than what it appears. In fact, it is a trap, closing off the avenue of renegotiation, turning any attempt to change relationships with the EU into a straight "in-out" choice with no middle way. In such a process, we cannot expect any "willingness to self-sacrifice" from our European "partners", much less a "high level of good will", as Lilico avers. So, he is exactly right in declaring that Cameron's next move requires "serious planning of exactly what we are after." Here, though, courage and imagination could win the day (although neither attributes are to be found in abundance in the modern Conservative Party). Rather than look for a "special status", as has been mooted in the Party, a more positive term might used, such as "enhanced". On this basis, rather than promoting the "negative" agenda of withdrawal, the Party might be better advised to advocate an "enhanced relationship" with the EU, a terminology the Europhiles might find it difficult to argue against. The fact that the withdrawal was the necessary precursor to such a new relationship could then be seen only as an incidental, cast as a positive move in order to obtain, "something better than we have already". What will not wash, however, is any pretence that "renegotiation" under the present terms is a practical proposition. The Conservatives must recognise that this is no longer an option, without first committing to withdraw from the EU. The objects of our pity? Coming in the "back door"
Fifty-seven minutes and one sip of water? And you thought it was all over? "… I am really frightened"